A few days ago as I was heading home from University I saw something that I found quite disturbing and I couldn't get out of my mind. This girl was standing just outside of Waterloo Station dressed in nothing but a flimsy dress and what seemed like this particular Topshop coat. She might have been wearing some flesh coloured tights but nothing else. Her neck was bare and the dress she had on could’ve very easily been a slip dress. I live in London, you know, so the weather hasn't exactly been mild. I was dressed in literally the warmest things I own and was still freezing so seeing her like that got me one step closer to hypothermia. So why write this piece on a random girl? Well, beside the obvious health issues, which are ultimately her own I noticed that she was accompanied by another girl and a guy that was taking some photos of her. Her friend was holding a pair of spare flats in her hand probably for when she would finish shooting and change the sky-high heels she had on with the more comfortable alternative. I don’t know if the photos were for her own pleasure or if she has a blog somewhere in the cyberspace but I was quite intrigued about this and wondered whether all bloggers do that. I knew that some bloggers do indeed walk around in flats and then change for some serious killer heels for their blog photos but seeing this affected and offended me on so many more levels. Firstly, there was the issue of appropriate clothing. At the present time, snow is expected anytime in London and here is this girl walking around in the flimsiest clothes, not even buttoning her coat. I know that fashion bloggers want to show their readers the newest trends and stylish outfits and those don’t really coincide with puffer jackets and thermal gear but evading reality in this way doesn't really help anyone. You’re not even required to wear skiing gear or huge jackets that be they warm have no visual appeal. By all means, layer! Isn't this the word of the season? People layering jackets, shirts, underwear? So why not do that? What amazes me even more is that I see posts of people in LA wearing leather jackets (sweaty much?) but then when they’re in London they just think it’s better to put on some open-toe heeled sandals! I believe that if you’re a fashion blogger, a supposed fashion icon you should be able to handle every temperature and dress stylish even during winter without having to wear clothes designed for spring or fall. Secondly, I want to raise the issue of ethics. 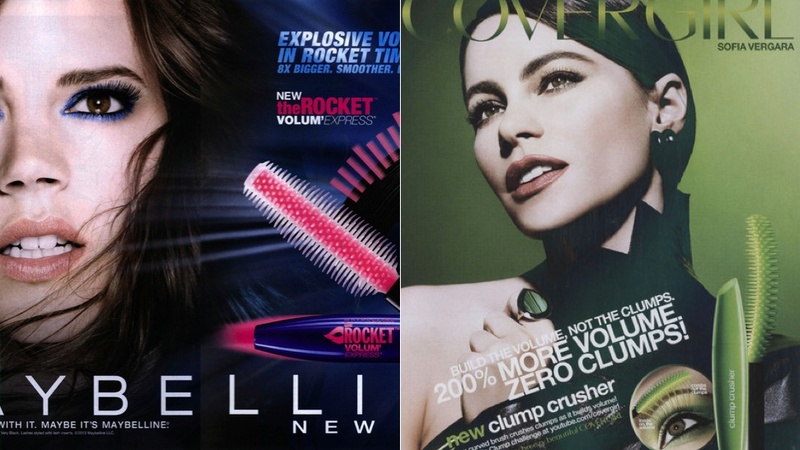 A few days ago I read an article about make-up companies such as L'Oreal and Covergirl being sued for using false lashes in their mascara ads. Although the National Advertising Division allowed companies in the end to use inserts with the condition that they specify it in their ads many people have raised other questions in regard to this. How is it ethical to use false lashes in an ad and say that those are the result of the mascara advertised? Even if you specify that those are false lashes the moral issue persists. Where is customer trust if a company uses false advertising? Well I believe that by posting a picture of yourself in high-heeled pumps in 10 inch snow and pretend people can actually go out like that isn't exactly fair. I mean we all make mistakes – when I was younger I wouldn't wear a hat in winter because it ruined my hair – until I got a cold and understood the use of it. I don’t want to go against the blogging industry, I do understand some posts are editorial, but I think that sometimes, some bloggers tend not to be quite that honest. I don’t condemn the girls that wear heels all the time and are uber stylish even when they go to the supermarket, I applaud them for being who they are. I’m raising a question for those that need to change shoes for every shoot or those that freeze just to get those 10 photos for a blog post. Be who you are, dress how you want to, not how fashion dictates. You don’t have to have heels in every post if you don’t normally wear them and you don’t have to look like you’re comfortable in a shirt when there’s -10 degrees outside. What do you guys think about this? Do you agree with me or are you a supporter of the more editorial way of blogging?